Happy anniversary! Celebrate this milestone by giving one of these fabulous gifts that your spouse is sure to love. If you’re nearing your first wedding anniversary, congratulations! 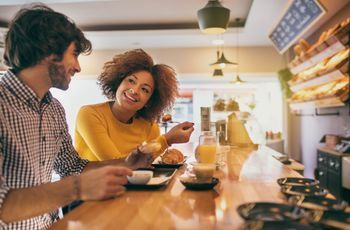 This is a huge milestone for newlyweds, and one that deserves to be celebrated with amazing first anniversary gift ideas—even if it feels like that’s all you’ve been doing the last few years in preparation of your big day. Hey, these are exciting times! Put simply, you won’t regret cherishing every single special moment later in life when the milestones change. 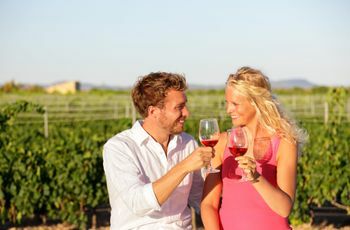 That’s why more and more couples are coming up with clever ways to cheers to this momentous occasion, as well as what to gift their spouse in honor of reaching the one-year mark. While paper is the traditional gift given on a one-year anniversary, you certainly don’t have to follow suit—we are in the digital age after all. 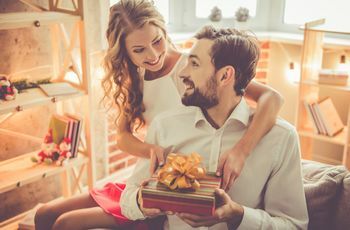 To help inspire you on your hunt for the perfect gift for your husband or wife, here are some first anniversary gift ideas he or she will love. Plan a surprise weekend getaway somewhere special. If you’re like most newly married couples, your first year flew by fast. Chances are, you both have demanding work and social lives and are trying to balance it all as best as you can. But sneaking in some R&R time for the two of you to just enjoy one another’s company is so important—it’s the glue that holds your marriage together. So why not plan a weekend (or week long if you can!) getaway somewhere that holds meaning. Maybe it’s the city or town where the two of you went to college, the place you got engaged or simply a relaxing spot that’s not too much of a hassle to get to. Wherever you go and whatever you do, just enjoy being together side-by-side—that’s what it’s all about! Why not consider a first anniversary gift idea that treats both of you? A couple’s massage is both a great first wedding anniversary gift and a fabulous way to relax. While there are plenty of spas that can accommodate this request, you can also consider booking an at-home massage through Zeel or Soothe. 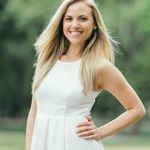 Both companies allow you to book all types of massages with the click of an app and skillfully massage therapists will show up at your door ready to work their magic. Each massage therapist brings a fold-out table—all you have to provide is the sheets! Post-massage you can order some takeout and watch a movie, feeling more relaxed than you have in a long time! Create a shadow box full of mementos from your wedding. If you’re the creative type, consider making something special and unique for your first wedding anniversary gift, like a shadow box filled with sweet mementos from your wedding. You can purchase shadow box galleries at any arts and crafts store, as well as your local Target or online vendors such as Wayfair. Inside, tack or tape special things from your wedding day, such as your invitation, the welcome book you made for your guests, maybe the earrings you wore on your big day, the note you wrote to your significant other, etc. There’s really no right or wrong way to make your shadow box special—that’s the best part! Whatever interests the two of you share, learn more about it—together! Whether that’s cooking Italian cuisine, painting or speaking French, sign up for a class that you are both interested in. Most of these classes involve more than one meeting, so this can give you an opportunity for you to look forward to a special day or night that you’ll share together—a first anniversary gift idea we can definitely get behind! Drink up with an anniversary wine box. Wine, like marriage, only gets better with age. That’s why there are tons of anniversary-oriented wine boxes available at various retailers and online. Most of them come with three—one to open on your first anniversary, one to open on your third anniversary and one to open on your fifth anniversary. You can customize the box to display your last name, as well as the year you got married. Plus, you get to look forward to enjoying more delicious wine for future anniversaries!